Growing up in captivity is made a lot easier when there is a comfort food just like mom used to make. 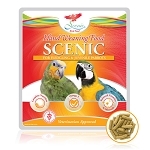 Use Scenic™ Hand Weaning Food to teach juvenile birds to eat and adult birds to cope. 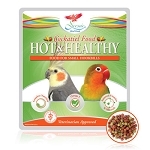 Available in original and high energy formulas. 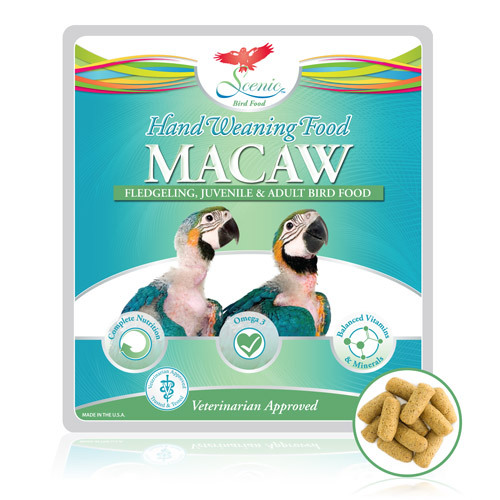 Scenic Hand Weaning is beneficial to medium to large-sized birds that are weaning. 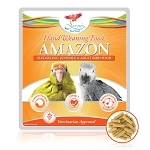 Amazon Hand Weaning and Macaw Hand Weaning are perfect for medium to large-sized birds that will benefit from a higher fat basis during stressful transition. Scenic Hand Weaning Food is served warm and wet. Simply heat up the water and soak the food. 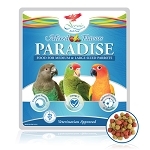 In 2-3 minutes, your bird will be eating out of your hand. 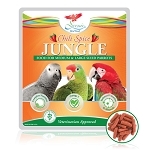 Store Scenic Hand Weaning in a cool, dry location while keeping it covered when not in use. We feed these weaning pellets to all of our adult birds to supplement their diet. They love them! 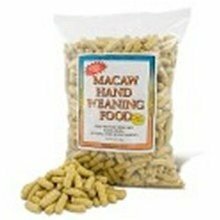 Whole grain yellow corn, soybean meal, corn gluten meal, corn hominy feed, sucrose, sugar beet pulp, dehydrated alfalfa meal, soybean oil, zinc sulfate, flaxseed oil, dicalcium phosphate, niacin supplement, apple fiber, manganese sulfate, ferrous sulfate, calcium carbonate, calcium pantothenate, sodium chloride, L-lysine, copper sulfate, riboflavin supplement, thiamin mononitrate, cobalt oxide, folic acid, l-ascorbyl-2-polyphosphate (source of vitamin C), pyridoxine hydrochloride, choline chloride, ethylenediamine dihydriodide, d-biotin, sodium selenite, vitamin B-12 supplement, vitamin A supplement, vitamin D-3 supplement, vitamin E supplement.